This rustic style wooden heart from East of India is a cute little addition to any room. 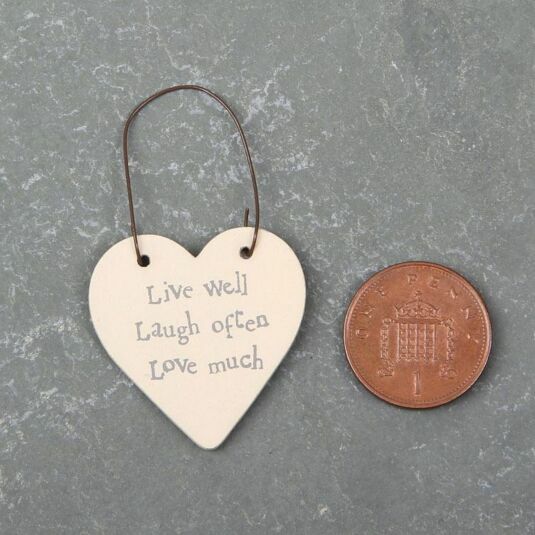 Measuring 3cm, it is just slightly bigger that a penny, but despite being small in size, the sentiment is big enough to make someone smile. The sign is pale cream with grey writing, and comes with a wire hanger making it the perfect decorative addition to your gift. 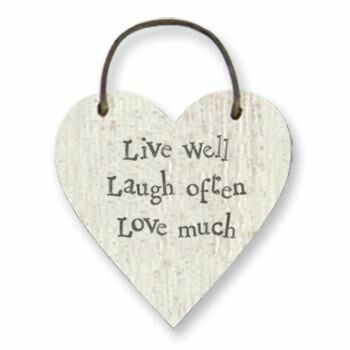 The sign is made from wood and reads; "Live well, laugh often, love much ".